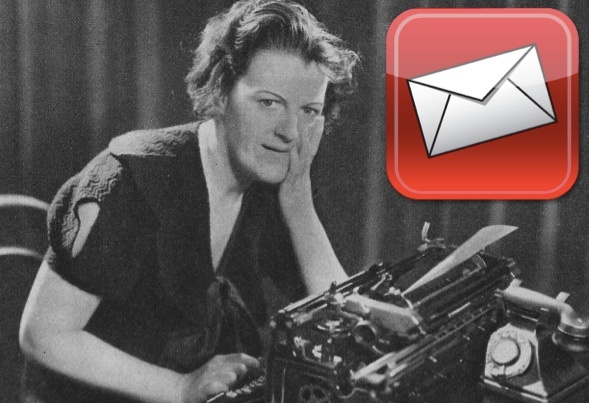 At the end of our roundup last year, we promised you an exciting 2016, and I think that all of us here at the ‘Official Gracie Fields’ have well and truly worked towards delivering that. 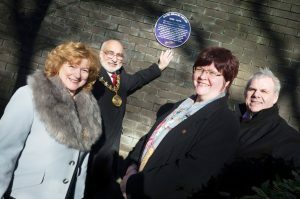 JANUARY started off with the unveiling of the first of eight specially designed purple plaques; that when all have been unveiled will go to form a Heritage Trail around Rochdale. The locations of these plaques was chosen by us, along with the information and wording. It seemed only fitting therefore that on January 9th, Gracie’s 118th Birthday, the first plaque was unveiled on Molesworth Street on the site of her birth. and Chris also paid a visit to the Pierhead inLiverpool where the names of crew-members who sadly died on board the SS Gracie Fields in 1940 are listed – a fact we’d not realised before! Another Liverpool Gracie-weekend occurred on the 22nd, when Shaun visited from Wales with piles of 78rpms for us to all sort through! On January 18th everyone was taken by surprise when TalkingPicturesTV broadcast the ultra-rare 1933 Gracie film ‘This Week of Grace.’ Although collectors have had a very poor copy for years, the British Film Institute in 2010 had restored and shown the film, at an event in London (Shaun and Seb attended this special event, after spending the day Gracie house-hunting in London with our friend David Hornby). 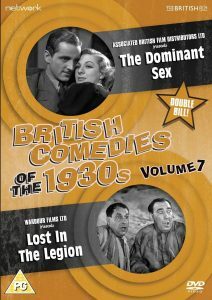 It was great to see TalkingPictures broadcast the film, with the promise of a DVD release later in the year (released on March 11th), many fans have barraged them with emails suggesting this for quite some time! 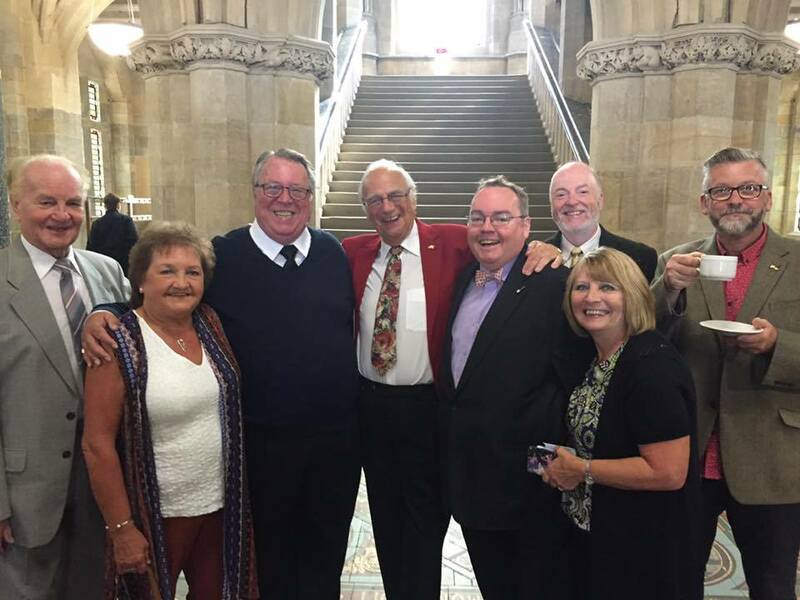 FEBRUARY 8th, saw a very special and secret meeting was held in Rochdale, where Cllr Janet Emsley, Richard Farnell (Leader of the Council), Frank and Donald (Rochdale Rotary) and Seb, saw the maquette for Gracies statue for the first time. After over three years of meetings, plans had finally come to fruition and we saw Sean Hedges-Quinn’s stunning vision for the first time in miniature. (Seb’s only comment to make, after starting open-mouthed for quite a while) was that Gracie needed to have a headscarf in her hand –an important detail which was promised to be added! Two days later the second Heritage Trail plaque was unveiled, marking the site of the former Hippodrome and Old Circus theatres where Gracie gave her first stages performances. The building no longer being there, attendees on the day had to scramble through muddy public flower beds to be able to unveil the plaque! Seb was again in Rochdale the following week on the 16th to discuss plans for an exhibition of his own collection with Janet, who also took him on a very interesting and exciting private tour of Rochdale Town Hall! All through January and February we were liaising with the staff and production team at the Oldham Coliseum Theatre, in preparation for their upcoming musical production of ‘Our Gracie.’ Providing script suggestions, sheet music copies, anecdotes and factual references (including a piece in the programme) the play opened on March 4th. Although we had never actually met Sue Devaney before, we had seen her perform at the original Press Conference announcing the play), and it was with great trepidation that Seb braved the snow-storms and went “tramping back to Oldham” to see the show. Little needs to be said about how fantastic the show was, other than that Seb went back 5 times to see it! Sue truly put in a stellar performance as Our Gracie, as I told her time and time again. There was only one little niggle I had with the show, and it was (thankfully) one that Sue shared too: but overall, the show brought the spirit, fun and energy of ‘Our Gracie’ to life, and packed out houses in Oldham and Stoke night after night. During this run, we got to know the lovely Sue and we’re pleased to have her as a great Gracie-friend, as well as Ben (aka Harry Parr-Davies). Keep an eye out next year for another exciting announcement in regards to this….but that’s a secret for now! 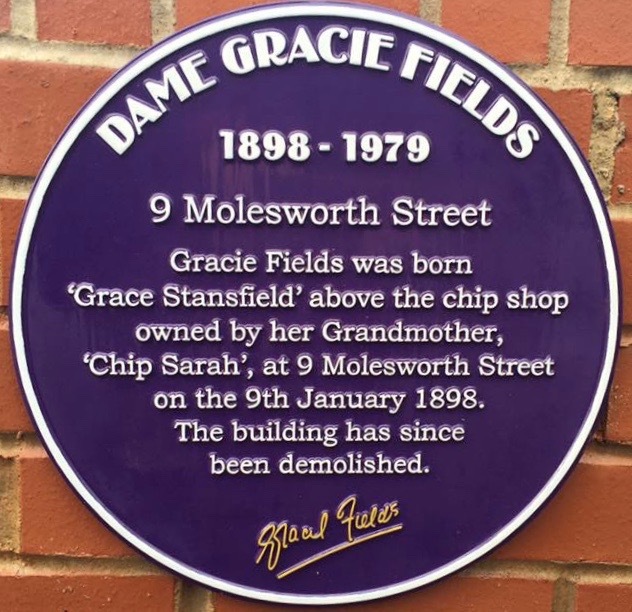 Also during the run, Sue unveiled the next Gracie Heritage Plaque on Milkstone Road, at the site of the former corner shop run by Gracie’s close family friends the Schofields, and Sue was honoured with the ‘Pride of Rochdale’ award. Following the closure of the successful show (before it transferred to Stoke-on-Trent), Seb and Sue attended an evening held by Rochdale Rotary East, where Sue gave a talk about her own life performing and linking it to Gracie, rounded up by Seb giving ‘the quickest version of the Gracie Fields story ever,’ with a focus on my thoughts on Sue’s performance as the great lady. 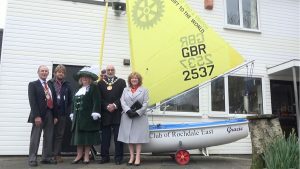 MARCH saw Rochdale Rotary launching their dinghy ‘Gracie’ on Hollingworth Lake, and the issuing of two of Betty Fields films on DVD. She doesn’t have a large part in either, but it’s still nice to see her on film. APRIL was fairly quiet, with things motoring along in the background. 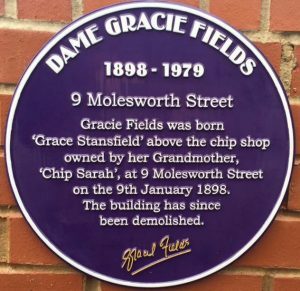 The 21st of the month however saw the unveiling of the next Heritage plaque at Saint Chad’s Church –where Gracie’s parents were married and where Gracie was christened in February 1898. In MAY we were approached by the BBC, and offered the opportunity of going to London to record an episode in BBC Radio 4’s series ‘Great Lives,’. In the programme, a celebrity nominates a person they admire, and speaks with an ‘expert’ to find out more about them. 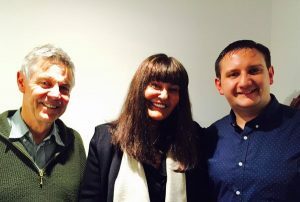 Our celebrity was to be Dragon’s Den businesswoman Hillary Devey, and we spent a very pleasant afternoon chatting to presenter Matthew Parrish –nearly three hours’ worth of chat which was eventually condensed into thirty minutes! On JUNE 4th, Chris and Seb took a day’s roadtrip to Norwich to save a Gracie collection from potentialy being thrown away: just one of three large Gracie collections we’ve rescued this year from similar fates. In January we added both the George Ratcliffe collection to our archive and also the Alan Duckett collection from our friend Ted Beckerleg. 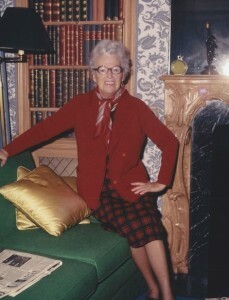 (If anybody knows whatever happened to the Tommy Keen collection, we would be very interested to know!) 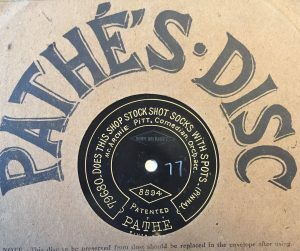 Seb and Chris also visited a record fair in Birmingham around this time, where Seb finally managed to secure his own copy of the ultra-rare Archie Pitt Pathe 78rpm recording from 1912. The next Heritage plaque was unveiled on June 9th marking Baron Street and Kenion Street, properties lived in by the Stansfield family as they moved ‘oop’ in the world. Fittingly, the plaque is placed on the very building (former boarding house) where Gracie stood outside the windows singing, to gain the attention of the staying theatricals. Seb had a Gracie-filled two days over June 22nd and 23rd, archival researching at Touchstones in Rochdale into Gracie’s early touring reviews and then the following day (Brexit day!) 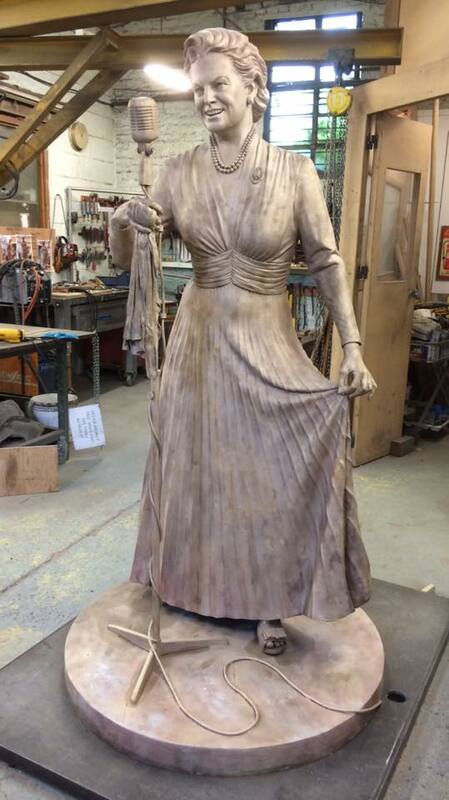 taking a trip to Ipswich with Janet, Frank and Nick Barton to see the life-sized clay statue of Gracie for the first time at Sean’s studio. 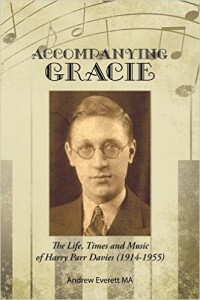 The following week Seb was researching again, trying to complete as full a tour schedule as possible for Gracie from 1911 to 1936, with help from the Basil Dean Archive at the University of Manchester. LOTS of new facts, information, stories and anecdotes to report on very soon. 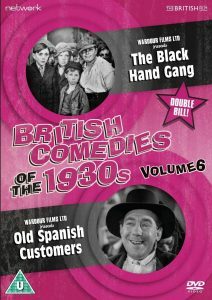 Only two events in JULY that we can think of, and that was the showing at the Stockport Plaza on July 8th of the two rarities ‘This Week of Grace’ and ‘Keep Smiling.’ This double-bill feature is something we flippantly suggested to the Plaza the year before, and were amazed when they took us up on the offer! This was the first time that ‘Keep Smiling’ had been shown to the public in 18 years, and so naturally Gracie fans from far-and-wide travelled to see the film, including Andrew Keating, David Hornby, Ronald Ashley, Peter Dargue, Darren Doherty and Valerie Worthing. It was also thrilling to see our friend Mervyn Rossini there with his son Laurence, as Mervyn’s father Nino Rossini appears in the film –which he was watching for the first time! An afternoon tea and talk preceded the films, with Seb telling the history and anecdotes of the two films in images and songs, including some ultra-rare home movie footage from Nino Rossini actually on the set of Keep Smiling! July 28th saw the next plaque unveiled at the Champness Hall, where Gracie broadcast the first of her ‘Our Gracie Working Party’ shows from in 1947 – marking her reintegration into mainstream broadcasting after her dip in British popularity during the Second World War. On AUGUST 2nd, as covered in review in ‘The Guardian’ and the ‘Radio Times Pick of the Week,’ our edition of ‘Great Lives’ was broadcast to start off the new series. Following this, Seb was invited to BBC Radio Manchester’s breakfast show to talk all things Gracie on August 4th. We were thrilled when Great Lives was selected on August 7th as part of Gerry Northem’s ‘Pick of the Week’ on Radio 4. Whilst on our annual pilgrimage in Capri to clean and tidy Gracie’s grave, the next plaque was unveiled in Rochdale at the Regal Moon pub, formerly the ‘Regal’ cinema where Gracie performed. 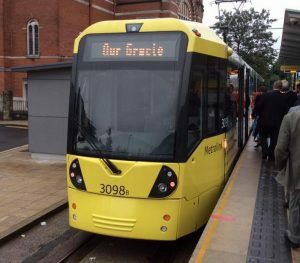 This day was quite special too as a ‘Gracie Fields Tram’ was unveiled by Manchester Metrolink, so riders can ‘Sing as they Go’ through Rochdale! Thanks in huge part to Jennifer Hollamby, media interest in Gracie was kept high throughout September in the lead up to the unveiling of the statue in Rochdale town centre. 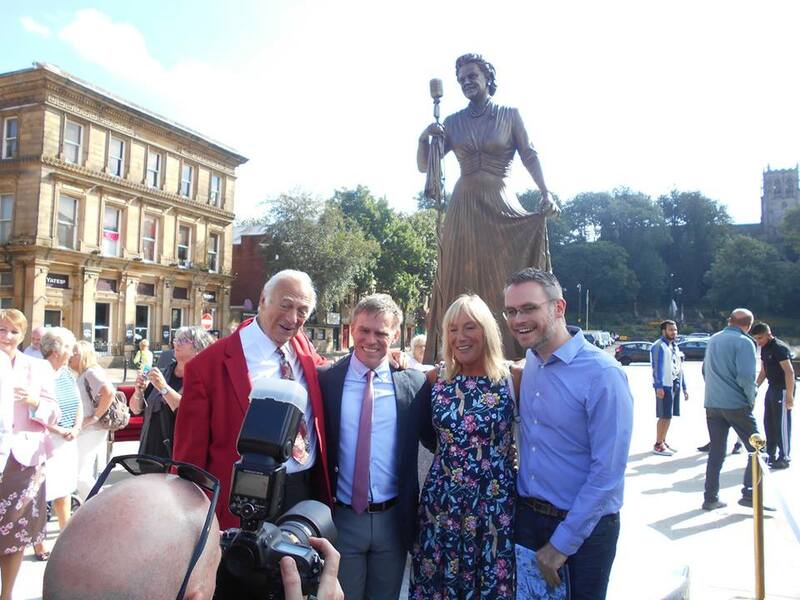 On both September 2nd and 8th Seb appeared on BBC Radio Manchester talking about the plaques and statue, then on the 13th sculptor Sean Hedges-Quinn and statue unveiler Roy Hudd spoke about the event on Radio Suffolk, with Janet appearing live on ‘That’s Manchester’ on September 15th. Our good friend Roy also published an article in his ‘Yours’ magazine column on September 12th talking about the great weekend which was to come. This week, the eighth plaque was also unveiled on Rochdale Town Hall, marking the culmination of the Heritage Trail in time for the statue unveiling. On September 10th (after a false-start the weekend before!) 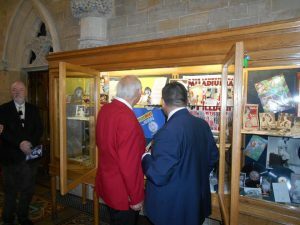 we put part of our private collection on display in the foyer of Rochdale Town Hall, and Touchstones also created a special exhibition of some of their items to commemorate the event. Local Studies at Touchstones decorated their room with photographs of Gracie’s 1933, ‘34 and ‘37 visits to the town in an impressive timeline of photos, which generated much discussion and interest. The stage was slowly being set for the grand weekend to come! September 16th to the 18th saw what we had been dubbed ‘Gracie Weekend’ take place in Rochdale – the largest commemoration of Gracie Fields since her death. Friday September 16th started off with a live BBC report from Rochdale Town Hall, in which Seb briefly showed off some of the collection on display ahead of the evening’s festivities. 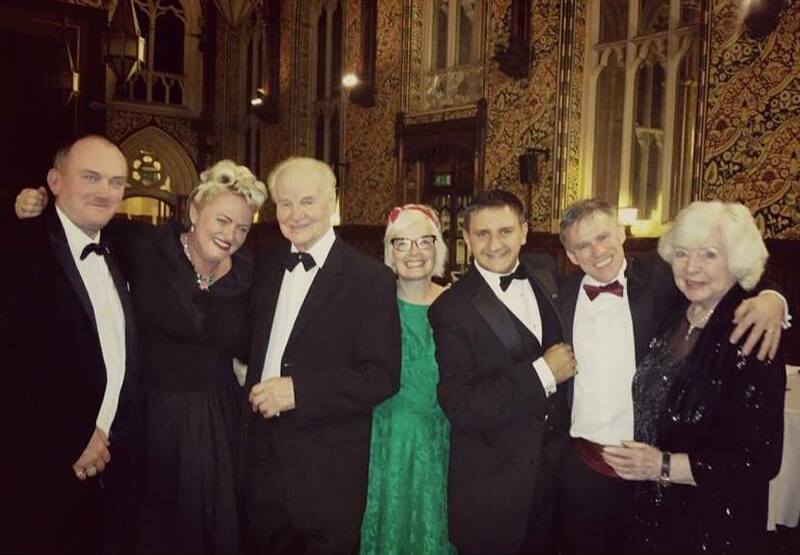 A 1950’s style dinner dance had been organised in the Grand Hall of the Town Hall, and with over 150 guests the event was a roaring success. With Gracie’s songs and fans filling the Great Hall, a meal by celebrity chef Andrew Nutter (including a very impressive dessert which Gracie would’ve been proud of) the weekend officially began in 1950s/black tie style. With speeches from Janet and Seb, dancing and partying went on well into the early hours as we were all looked after by Dorothy, Luke and the excellent Town Hall staff. What was most special for us, however, was that we finally got to meet Gracie’s lovely niece Melanie and her partner. We’d been exchanging emails in the run up to the event and were thrilled that she could make it on the night, and we spent a lovely evening chatting to, and getting to know them both. The following day at Touchstones various family events were taking place, including digitally altering Gracie’s voice and mixing it with other sounds (like the bells of the Town Hall); creating Gracie collages and turning them into moving images on a gramophone base; exhibitions in Local Studies of ephemera items and most importantly, the gathering of a mass-choir to sing Gracie songs ahead of the unveiling. This was an idea which Janet had had earlier in the year at one of Seb and Janet’s many catch-up meetings, that a unique choir (formed from willing members of all of Rochdale’s choirs) would rehearse three Gracie numbers to perform at the unveiling. Seb selected the three he thought most associated with Gracie, Janet had the music ‘choralised’ and all was set to go. ‘I’ll never forget walking into the rehearsal room that Saturday afternoon and hearing a choir of near 100 people singing ‘Sally’ in a four-part harmony’ remembered Seb ‘Twiddly-bits an’ all!’ as Gracie would’ve said. Stunning. A group of people of all ages, races and religions who had willingly got together to perform in tribute to Rochdale’s greatest daughter. Stunning’. That evening was mainly spent in the bar of the hotel chatting to and getting to know Guy Stansfield, the grandson of Gracie’s brother Tommy: listening to his memories and hearing his stories, and also telling him some stories about his own family! It was almost like an episode of ‘Who do you think you are?’!! It was amazing to find that Gracie Fields was actually one of the UK’s Top Ten trends on Twitter the following morning of the 18th. Today was going to be a VERY good day . 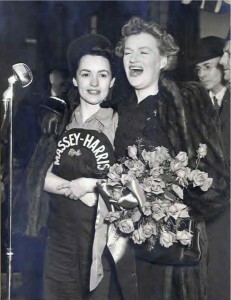 . .
A large crowd of Rochdalians, fans and press gathered outside the Town Hall, the choir were ready to sing and after speeches from Mayor Dutton, Janet Emsley, Seb and Roy Hudd the statue was unveiled, as the choir and the crowd struck up ‘Sally.’ Gracie Fields had finally come back ‘whoam’, and it was reet grand. (The choir also performed ‘Sing as we Go’ and ‘Wish Me Luck’). Fans and friends had come from all over the country to the unveiling, and it was really thrilling to see so many of our friends join us on this very special Gracie day. 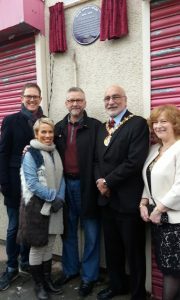 After a song by Sue Devaney, wearing one of Gracie’s headscarves (lent by Seb), people posed for photos around the new addition to the town centre –including the local rugby team after celebrating a victory that very weekend. Afternoon tea was then presented in the Town Hall, with special dignitaries invited inside the Mayor’s Parlour to take tea with him and to sign the Guest Book, as Gracie used to do on each visit back home. 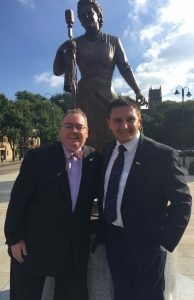 While here, sculptor Sean presented three miniature bronze statues to the key players involved with the statue: one to Janet recognising the council’s input; one to Frank recognising Rotary’s input and one to Seb recognising his help and the Dame Gracie Fields Appreciation Society. It currently takes pride of place in his front room on a stand with an aspidistra underneath it – naturally!! Special commemorative booklets were printed for the event, and we’ll get one scanned and posted online in our ‘files’ section soon for you all to see. There’s also a Tourist Trail Heritage Map (with information from ourselves) to look out for if you’re in Rochdale and want to take the Gracie Fields trail. Who knows, we might have a convention and walking tour in 2017…There’s a pub on the ‘trail,’ so it seems a worthy idea! Other than making ‘The Stage,’ ‘The Guardian’ and the front page of Rochdale Observer, with pieces on BBC North West Tonight and Granada Reports featuring our own Seb, and all local radio stations, there’s not been much going on in the Gracie-world over the past couple of hectic months! Roy Hudd did publish another article in ‘Yours’ in October though! And also there’s a piece written by Seb about the unveiling in the Winter edition of the ‘Call Boy,’ the magazine of the British Music Hall Society. Keep an eye out on television over Christmas for the new Raymond Briggs film ‘Ethel and Ernest,’ as Seb and Chris helped out with sourcing and licensing a piece of Gracie Fields music for the film. We were promised a name check in the credits, but whether or not that will happen is a completely different story! Do not fear though: plans are afoot and aplenty for next year… It might be difficult to TOP this year, but one thing’s for sure: The Official Gracie Fields will give it a ruddy good go! Hopefully there’ll be things to read, watch and listen to… More on this soon! We hope that you’ve all had a wonderfully happy Christmas and New Year, and that 2017 brings you health, happiness and plenty more of ‘Our Gracie’. Seb, Shaun, Chris, Victor, Annie, Archie, John, Paul, George, Ringo, Edie, Betty, Jenny, Tommys (Steele and Fields), Fred and all the rest of the gang. 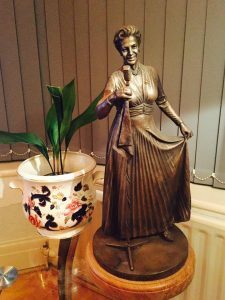 Who would believe that this is our THIRD Gracie yearly roundup, this must mean that we are stepping into our fourth year of our ‘Official Gracie Fields’ website. 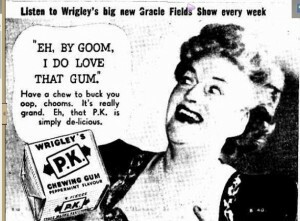 We’re so glad you’re still along with us on this interesting ride, and we look forward to adding much, much more to the website in 2016 -a year we just KNOW is going to be full of Gracie Fields news and events. 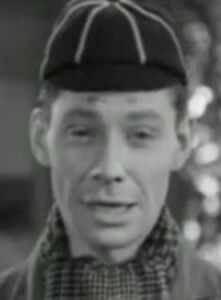 Another Pitt discovery came when we discovered, during research, that he had ONE more review show after he’d split from Gracie, this was in 1939 and entitled ‘Entente Cordiale’, starring Frank Formby, the younger brother of George. This show would prove to be Archie’s last, and we surmise was created to earn funds after he had divorced Gracie, the show’s run was cut short with the death of Archie in 1940. (We have yet to find where Archie is buried or where his ashes are, and this is one of the biggest Archie shaped gaps niggling us). 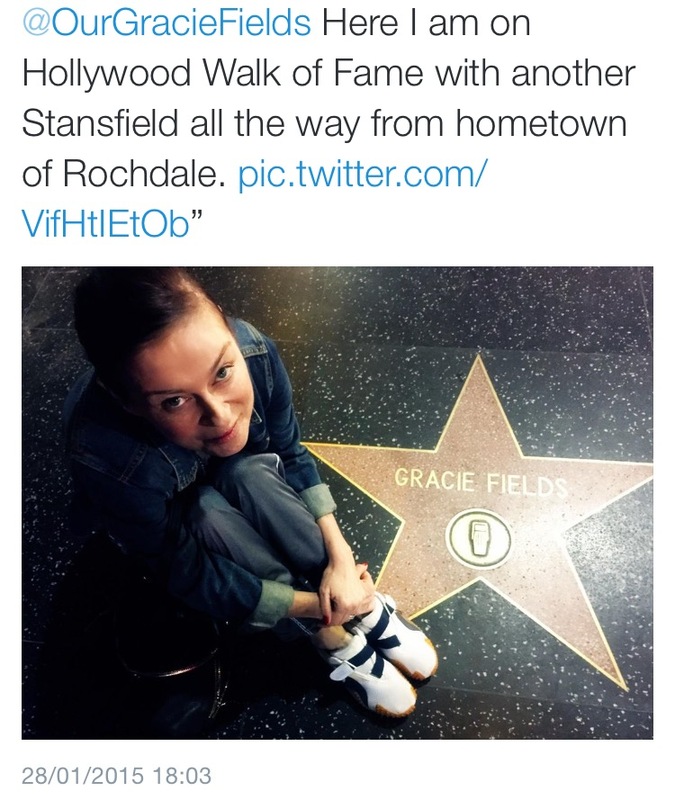 Fellow Rochdale star Lisa Stansfield also Tweeted us directly from Hollywood, with a photo sitting next to Gracie’s star on the Walk of Fame. More photographs came in February, when the daughter of Bernard Delfont (Susan) Tweeted us a photograph of her mother and Gracie at a charity event in the 1950s. 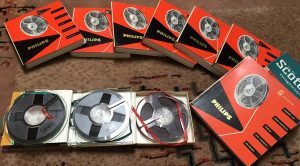 Chris also managed to find a rare Wrigleys radio show from Australia – recorded in London for Harry Alan-Towers, the shows were distributed around the world and sold to different sponsors (including WISK, Lever Brothers and Wrigleys). 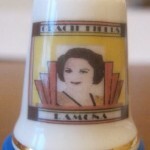 Chris has also spent a lot of this year working on the Gracie Fields Discography, focusing largely on the ‘Live’ section. Seb and Chris have managed to expand the ‘live’ section of known broadcasts to over 90 pages from 1928 to 2015, and this is something we hope to make available to view in the near future – it’s packed full of photos, information and context. April also saw the opening of ‘Cahoots’ bar in London, specialising in all things 1940s, including a ‘Gracie Fields’ cocktail (which we’ve yet to try!) The cocktail contains: Ketel One vodka, lime juice, rose liquer and Prosecco for the necessary fizz. We know what WE will be creating at home this Christmas! 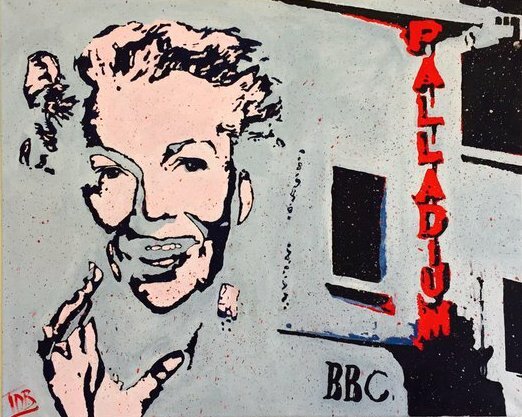 In May, Seb was kindly sent a one-off Pop-Art painting of Gracie by renowned artist, singer and Gracie fan Ian Belsey, titled ‘The Sweetest Song in the World,’ which now hangs proudly above his desk. VE Day saw the BBC present a TV celebration from Horse Guard’s Parade, where Pixie Lott paid tribute to Gracie, singing ‘Sally’ [Watch it on Youtube >>>] and opera singer Laura Wright performing ‘Wish Me Luck’ with Britain’ Got Talent winners ‘Collabro.’ (In August, Seb got to personally discuss Laura’s performance backstage with her, when she was a supporting artist at one of Elaine Paige’s Summer concerts). 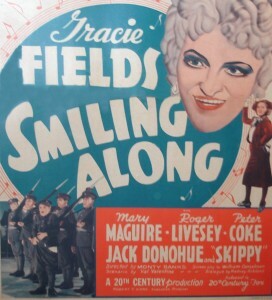 Over April and May we added three amazing lifetime collections to our Gracie Fields archive. We purchased (over two lots) a collection of over 100 unique photographs, 60 miscellaneous photographs, books, programmes, scrapbooks and 100 signed postcards belonging to fan Brenda Thomas. Within the space of a few weeks, we were very kindly donated a unique Gracie collection (again around 60 signed postcards and Christmas cards) from Jonathan Flower, who we thank very much for his generous donation. 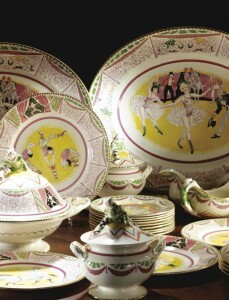 We are thrilled to give a lifetime home to this collection. Unbelievably, like buses, a third collection came along and we added another 60 or so Christmas and postcards of another collection from fan Joe Sheldon -some of which we hope to exhibit next year. A wonderful photo sent to us in March by Michael J. Burn. 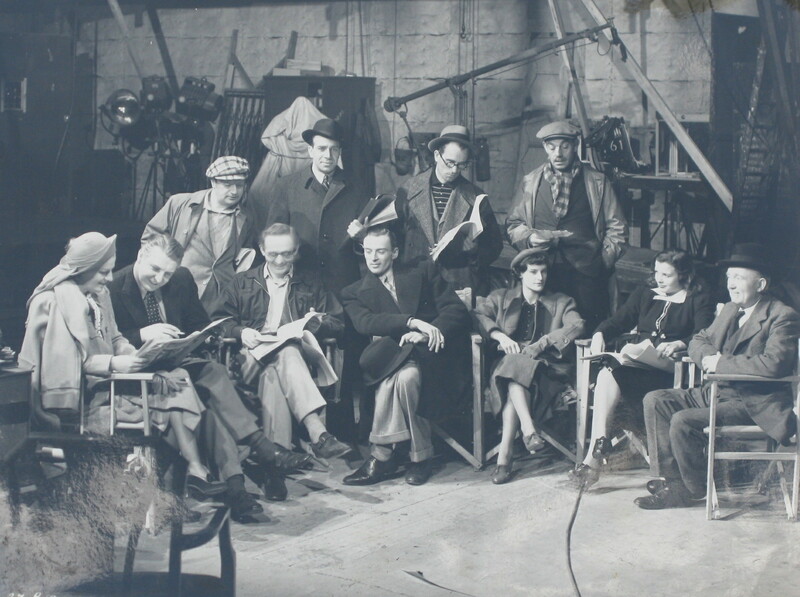 Jack Daly, his grandfather, is standing in the back row third from the left, his grandmother Flora, second from the right. En-route for South Africa. A photo sent to us by Carl Olsen of Gracie with his aunt at the Massey Harris combine tractor factory, Toronto. In August, Seb made his annual pilgrimage to Capri – cleaning and bleaching Gracie’s grave, adding fresh flowers, then spending the afternoon relaxing at La Canzone del Mare. 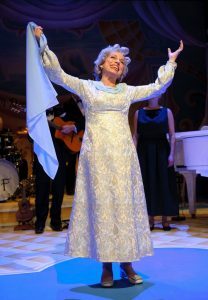 On returning, he represented the Gracie Fields Appreciation Society at Roy Hudd’s annual Celebrity Lunch in London. We also added, thanks to Chris Rogers, a new 1938 live Fairy Radio recording of Gracie singing the Tessie O’Shea song ‘Blackpool By The Sea.’ Thanks Chris! Rochdale Link4Life also staged a small Gracie exhibition this August at the Middleton Arena. But, back to the Gracie statue. In September at a further meeting, we finally got to welcome our artist, the excellent Sean Hedges-Quinn on board. He was selected by the panel at a meeting earlier in the month, after they had closely analysed and scrutinised several artists proposals and submissions. 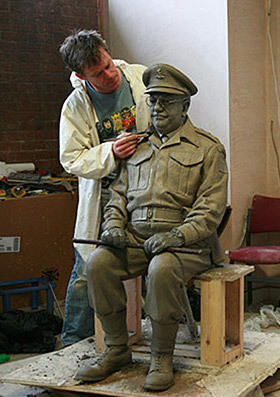 We’re now working closely with Sean to assist him get the statue looking ‘just right.’ We have provided him with 100s of photos and details (we were asked! ), which we are sure he will use to make a truly fabulous Gracie tribute. 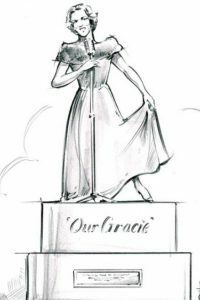 www.graciefields.org will be the FIRST place for any new information next year about the statue, it’s unveiling and celebrations, along with further VERY exciting plans, so do watch this space! As for 2016, well…. just watch this space. We already know it’s going to be a Gracie packed year with theatres, films, releases, talks and statues to hint at just a few things…..
Firstly can we genuinely thank those of you who have contributed during the past year, including but by no means only, Mervyn Rossini, Peter Dargue, Chris Grant, David Hornby, Hazel Provost, Tristram, Paula Marsh and Jane Compton. The year started with discussions within the Dame Gracie Fields Appreciation Society about the prospect of setting up a new website solely dedicated to Gracie. We had heard personally from Bill Hanks (who has been very generous to us in the past) that his excellent website was soon going to close due to his ill health, sadly Bill died in the latter half of 2013. The website once run by our good friend Dave Haddock had also disappeared. 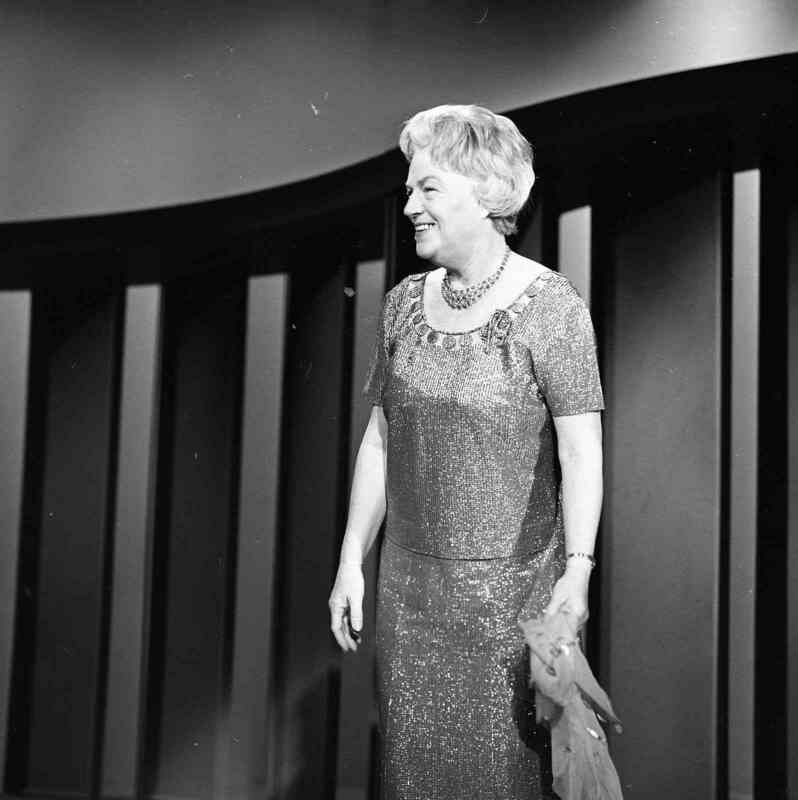 So two of our team, Shaun and Paul set to the challenge of laying down the groundwork for a new website which would eventually become ‘The Official Gracie Fields – Her life and times‘. After various name and domain suggestions, we decided on one which succinctly summed up the site, and as we now have several members of Gracie’s family contributing (which we are over the moon about! ), and they are more than happy for it to be called ‘The Official’ we feel we made a good choice. With Shaun and Paul working hard on the creation of the website, Seb was working on his dissertation for his English Literature University course. 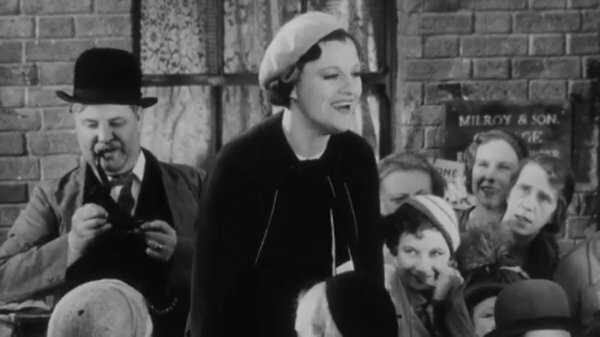 After meetings with various tutors, it was agreed that he could indeed write his thesis on ‘The impact of the Second World War on the popularity of Dame Gracie Fields’, (probably a very welcome first for the people who marked it!). 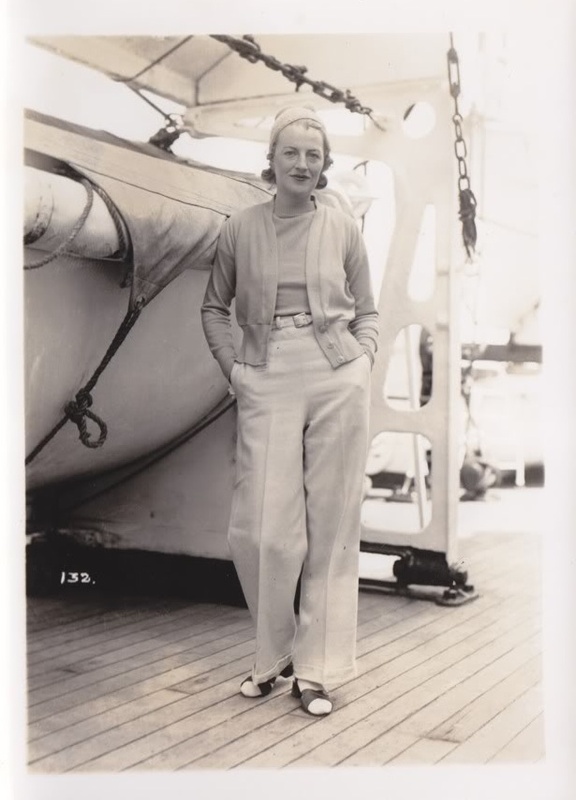 After spending many hours in the Basil Dean Archives at the University of Manchester, the Gracie Fields Archive in Rochdale, Kew Archives and the Imperial War Museum, 5000 words later the essay was complete and handed in at the end of April. In the meantime, Seb and John Taylor attended a private screening by the BFI of Gracie’s 1938 film ‘Keep Smiling‘ in April -the first time the film has been shown since its 1998 showing for Gracie’s centenary. But, more importantly in April, the website went LIVE! 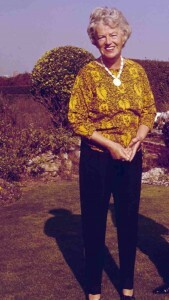 During the course of our creation, we have been very lucky to have had contributions from John Taylor, Gracie’s close personal friend and very good friend to us here at www.graciefields.org. 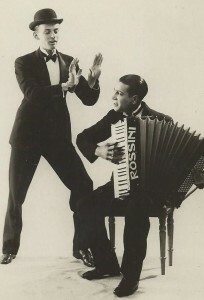 More recently, we have had contributions from Hazel Provost, Gracie’s assistant and companion over the Summer months in the 1970s, and one of our upcoming pages will feature some excellent contributions from Mervyn Rossini, the son of Tommy Fields‘ theatrical partner Nino Rossini, and grandson of the owner of Charburn’s Young Stars. We were delighted when members of Tommy’s own family got in touch with us, the first time they have ‘gone public’ in relation to Gracie, and shared some of their invaluable memories and photographs with us. Keep an eye out in 2014, there is still a LOT to add to our website and we are continually hacking away at it. One of the sections we are really hoping to add to is the ‘Fan’s Memories’. We have had three great contributions so far, and one very touching story where we were able to reunite a family member with the voice of their long-dead Grandfather. 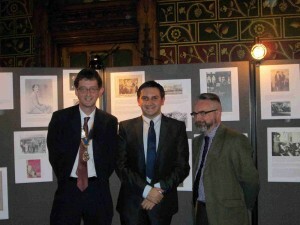 Finishing University in June, Seb spent a lot of time at Rochdale Museum’s Archive working closely with the conservation of the Gracie Fields collection and helping to identify, catalogue and archive many of the Gracie Fields items they keep secure there. Over several weeks, Seb had the privilege of working closely with the collection and with the excellent team of Sarah, Alison and Julian. Through his trips, Seb was put in contact with Rochdale Rotarian John Kay. A couple of years ago, Seb gave his talk on the life of Gracie to the Rotary Club. John contacted Seb with the idea of the creation of a permanent tribute to Gracie in Rochdale. 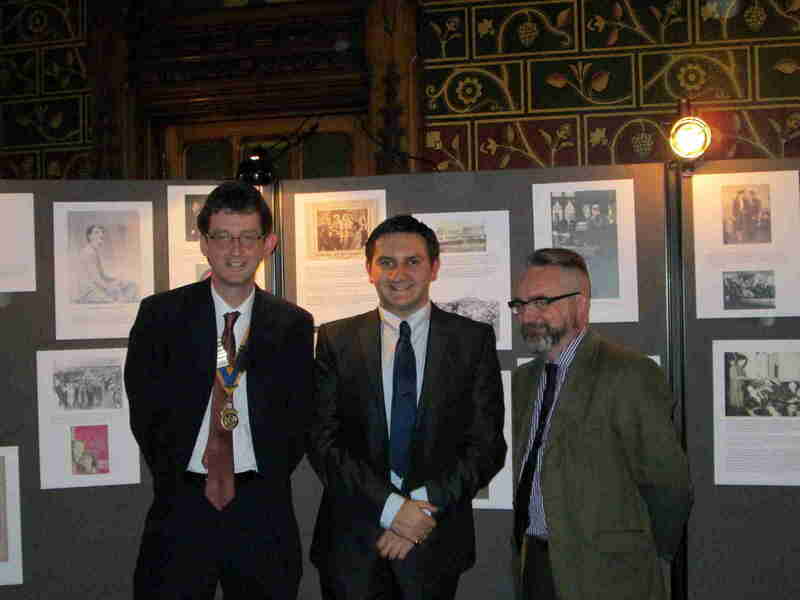 Over many months of discussions, negotiations and meetings -with the direct and invaluable involvement of Councillor Richard Farnell and head of Link4Life Julian Jefferson, a temporary display was unveiled on December 5th in Rochdale Town Hall telling Gracie’s life in photographs. This is hopefully the beginning of what is proposed to be a much larger display in the months to come. Before the unveiling, Seb gave a second Gracie talk to the 80 or so guests at the Town Hall, about Gracie’s returns to her home towns over the years, featuring songs and audio recordings, bringing Gracie’s voice back to the Town Hall for potentially the first time since 1978. Rochdale Rotary Club, Rochdale Rotary East, Rochdale Council and Link4Life all have various Gracie events and things planned for 2014 and onwards, and we are delighted to announce that we here at www.graciefields.org we will be amongst the first to bring you news of all the developments as we are directly involved in all of them! Be warned: There’s some exciting stuff coming up in the world of Gracie! If you want to be involved, get in touch. 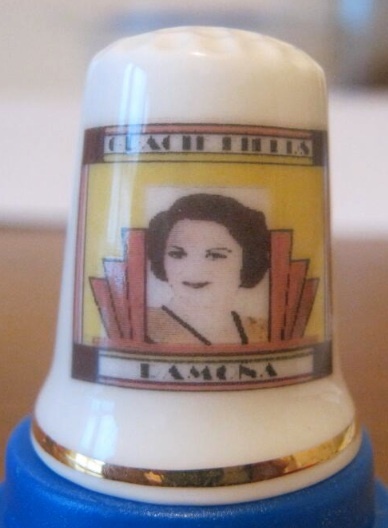 Meanwhile in the art world a beautiful Gracie thimble has been produced, and whilst I’m sure it was made with the best of intentions, Gracie is sadly barely recognisable and has no nose. Fortunately it is a copy of the cartoon on the Ramona CD cover or we would have been none the wiser ! But full marks for trying. On July 11th, Seb was heard on BBC Radio Manchester talking about Gracie and Rochdale in a feature about how the town could best remember Gracie. Alongside his friends-through-Gracie Councillor Farnell, Seb detailed Gracie’s close association with the town in the morning breakfast programme, and an extract was used throughout the day during the news roundup each hour. Also in July, on the 17th, Seb travelled to Sheerness in Kent to film a feature on Gracie for BBC’s ‘The One Show.’ Taking a suitcase full of memorabilia and artefacts on the 5 hour and 4 train journey (in the blistering sun!) Seb filmed for over an hour with Angellica Bell and the BBC. After months of waiting to hear back, the BBC got in touch with Shaun and Seb asking for a Gracie representative to go down to the studios in London to talk about Gracie LIVE, all the work from the 17th July ending up on the cutting room floor! They felt a guest ‘in studio’ better suited the story, and would allow a longer edit about William Sunnocks, the 90 year old who was befriended by ‘Aunty Gracie’. Through one reason and another, Shaun drew the short straw and Seb shot to London straight from work on October 14th to appear on the show. With train delays, power cuts and ridiculous traffic on the Marlyebone Road, Seb got to the studio ten minutes before the show went on air, which gave him time for a quick run through with the presenters and time for a glass of water! Julian Jefferson from Rochdale, had brought down the 1978 Royal Variety Dress and DBE/CBE medals and was standing nervously in the wings ready to go on in case Seb didn’t make it in time. Thankfully for the worried Julian, he did. The interview can be seen [here] The Royal Variety dress was removed from shot seconds before going live, but if you look closely on the table you can see the DBE medal, and on Carrie’s lap one of Gracie’s headscarves from Seb’s collection, which matched Carrie’s dress perfectly! Also in October, we had the release of the Gracie Fields ‘Icon of Variety‘ DVD, which we were sent a promotional copy of and asked to review for the company before they commercially issued it. They also gave us a copy to give in a prize draw which was won by Katie Bradley. Throughout 2013, Shaun and Seb have been adding to their own private collections of Gracie Fields items, with Seb getting some of Gracie’s own copies of photographs and signed photographs to her from Maurice Chevalier and Danny Kaye and a signed guestbook by Annie Lipman, Archie and Gracie, and Shaun acquiring a wonderful menu from the 1947 wedding of Tommy Fields signed by almost the entire Fields family. 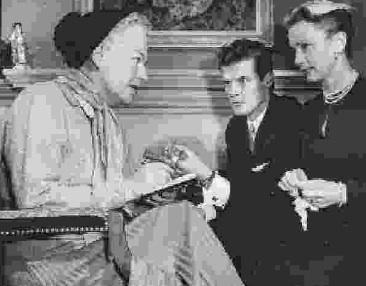 Perhaps the most exciting addition came in Shaun’s discovery of what we believe to be the only existing Press photo of Gracie Fields, Roger Moore and Jessica Tandy in the 1956 production of ‘A Murder is Announced,‘ with Gracie playing Miss Marple. 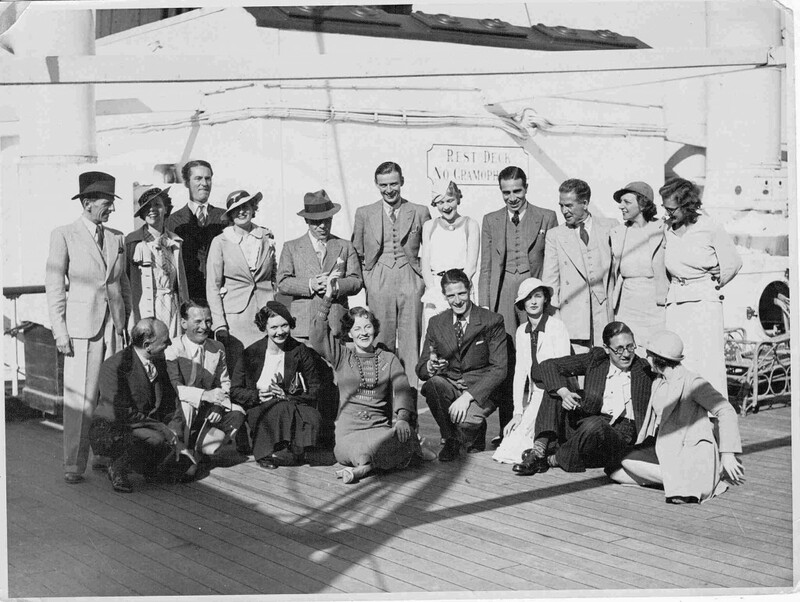 We have been in close contact with the Agatha Christie Estate, Christie experts Mark Alrdrige and John Curran, who were delighted at receiving copies of the photographs. We can confirm that the film DOES exist in the hands of a private collector and also in the hands of a production company. It IS out there somewhere! So, that’s our round up of 2013! I hope you stick with us here at www.graciefields.org and see what exciting things 2014 holds! The year sees the 80th anniversary of Gracie’s seminal film ‘Sing as we Go‘; the 75th anniversary since the beginning of hostilities of the Second World War and the 35th anniversary of the death of ‘Our Gracie.‘ Hopefully, with your help, we’ll make it an exciting year! DO REMEMBER that we want your involvement too in this site! If you have any contributions, additions, questions, photos, memories, audio clips ANYTHING that you want to share then please do get in touch and we will add them straight away! Many thanks, and here’s to a happy and healthy 2014. Seb, Shaun, Paul & Chris. 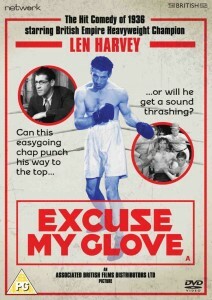 …..and we’ve not even mentioned the upcoming new biography! More on that soon…..